We often hear that traditional radio (AM and FM) are dead, or nearly so. Yet, many people doing podcasts and internet radio shows still want to get their content onto AM, FM, or satellite radio. So here's a plan to help you move your podcast or internet radio show to a larger platform such as AM, FM, or satellite. There's no "magic bullet" to make the move a success, but this article can provide a bit of direction. Here are some cold hard facts: Nobody has much time for you — especially program directors and radio station owners. If you get a window of opportunity, you have to make the most of it. Think "fast" and "slick." The demo you create for your podcast or internet radio show should be no longer than five minutes. Most of the time, you won't get more than 30 seconds to make an impression because people who make programming choices either know what they're looking for and judge you against that standard or are listening for something that is so new, fresh, and unique that it demands more attention. If you get past the first 30 seconds and a program director listens to all five minutes of your demo, that's great. If five minutes isn't enough, she'll contact you for more. Because the first 30 to 45 seconds are so important, make sure your demo starts with something that is absolutely riveting and compelling. Find a snippet of audio that showcases your talents or your show in the best light possible. Remember: A demo can be edited together in an audio montage format. It doesn't have to follow the congruency of a standard radio aircheck. Label your demo with the podcast or show name and include your contact information on it, including email, phone number, and website. Also include a short cover letter and a one-sheeter: all the information that's important about your show on one standard sheet of paper. Besides not having much time to listen to demos, program directors don't want to read a long, drawn-out history of what you're doing. Give them the basic facts: who, what, where, how, why. If you have stats on current listenership or any impressive demographic information about your audience, include that, too. Most people would like to be paid for doing their radio show, earn income from the ads sold during it, or at least do it for free and use it as a platform to promote their interests and parlay it into something even bigger. If you're not interested in buying radio time on a local station, the next best thing is to convince the program director you've got some content that would benefit him. Take some time to listen to local radio stations, especially on weekends. Weekends are the weak link for AM and FM because stations often pick up cheap syndicated or satellite programming to fill the void if they can't automate and voice-track. The is true of many talk stations. Listen to what these stations are already doing and build a case for giving you a shot with your podcast or ​internet radio show. Find a good fit for your show with a local radio station and the demographic it serves. Mail a CD, or email your demo and written materials to the program director. Follow up with a phone call or email. Expect to be ignored. This is where it's going to get frustrating. Work on several stations at once and keep hammering. See if you can get some feedback on your content, and ask what you could to improve it and make it more apropos for the station. Understand that what you do can always be improved upon, and embrace constructive criticism. Incorporate the suggestions into a new demo and start again. Have you ever heard a local weekend program on a talk radio station about gardening, home repair or auto maintenance? They're typically hosted by local business people or hobbyists who have a passion for a subject and the knowledge to discuss it and answer questions. And you've probably wondered how they got onto the radio. Understand that the primary motivation for commercial AM and FM is revenue; if you can help it achieve that goal, you might wind up doing a radio show. A local station can make money if a show garners good ratings. Popular programming attracts advertisers, and the radio station's sales department sells ads to various clients. Many stations, however, also run paid programming, and they cash the check whether anyone is listening or not. Let's say you're a plumber and you want to do a show on Saturdays about DIY home plumbing repairs while at the same time plugging your business. Many stations will sell you 30 or 60 minutes of time, especially if you agree to pay the "top of the rate card" or a premium rate. In this case, the first person you need to talk to at the station is a sales representative, not the program director. The two main players in the satellite radio space, XM, and Sirius have guidelines to follow for pitching your radio show. If you have an idea for a show on a specific channel, you can send an email with a BRIEF concept pitch to the program director for that channel or the designated channel address. Most channels have contact information on the channels dedicated page of the XM website. If you have an idea for a show, but you’re not sure which XM channel would be the best fit, OR you have an idea for a channel, you can send an email with a BRIEF concept pitch to programming@xmradio.com. Please don’t send an unsolicited pitch to someone outside of XM programming and ask that it be forwarded internally to the appropriate person. It’s also not a good idea to pitch your programming ideas on the phone, even if they are an appropriate contact. Stick with email. Include your complete contact information with your pitch, but don’t call or e-mail XM to follow-up on your submitted programming idea. Sometimes, the hardest thing in this entire process is to believe in yourself. 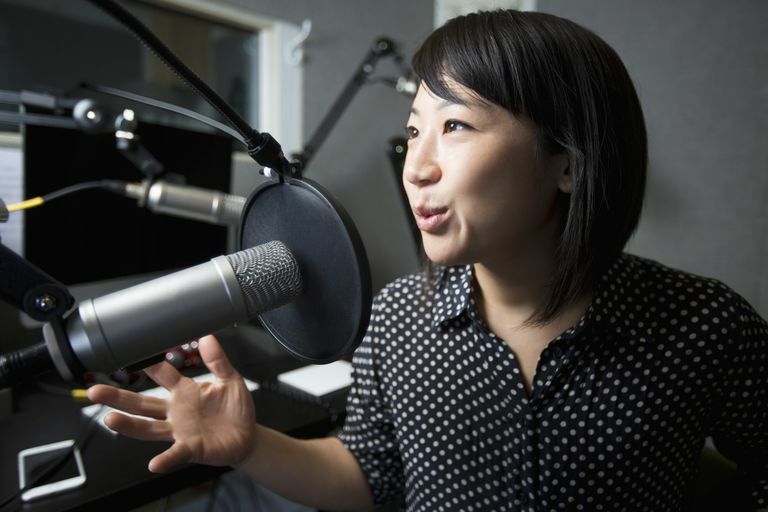 You might have a great podcast or show on internet radio, but convincing the rest of the world — or at least someone with the power to do something about it — isn't always easy. Use every opportunity you can to pitch your ideas to people who might be in a position to help. Avoid being arrogant or conceited, but don't be too humble. Express confidence in your product, and remember: Every journey starts with one step. Just make a commitment to begin, and then move forward.